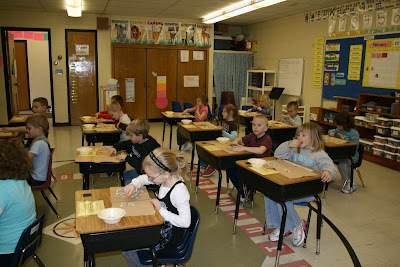 The Exeter-Milligan Kindergarten class has been busy learning about the five senses in science class. 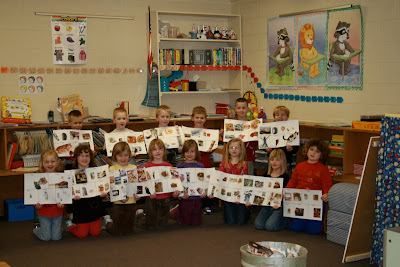 After studying each of the senses, the students looked through magazines and made a "Senses Collage". 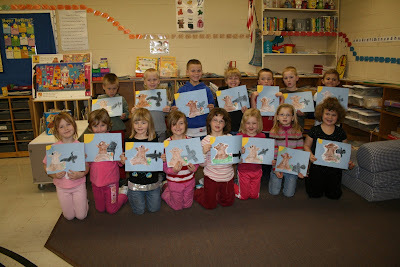 The Exeter-Milligan Kindergarten class learned about Groundhog Day on Tuesday, February 2nd and made a groundhog picture with the groundhog and his shadow. 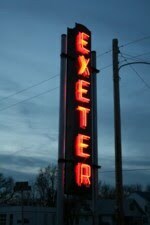 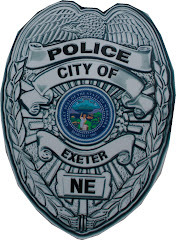 Exeter-Milligan Elementary students celebrate the 100th day of school. 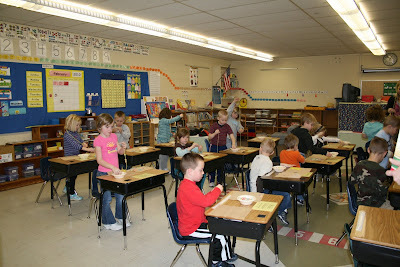 The Exeter-Milligan Kindergarten class celebrated the 100th day of school with special snacks, then they made an 100 piece cereal necklace and at the end of the school day were joined by the First and Second grade classes and jumped on filled balloons in the hallway.